A range of WRAS approved nickel plated, extruded brass manifold in ¾”, 1”and 1¼” inlet sizes, suitable for heating and hot water applications where isolation at the manifold is not required. Topway SN allows up to 12-way as a single piece without interconnecting 2 or 3, 4-way manifolds. There are a number of different ways to mount the manifolds such as our slider rail system, metal brackets or placed within a ‘Termobox’ plastic manifold cabinet. Also available are ball valves, mounting brackets, fittings and WRAS approved Monoblocco pipe connectors for a wide range of pipe types and sizes. 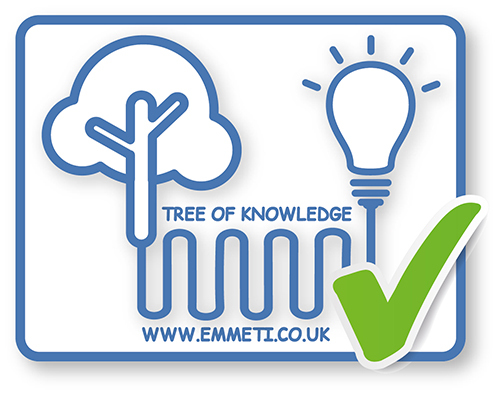 Can Emmeti sanitary manifolds be disinfected in accordance with HSE ACOP L8* with a chemical giving rise to a free chlorine level of 25-50mg/l? What is the recommended pipe run length when installing sanitary hot water plumbing pipe? The UK Water Regulations say that hot water must reach the outlet within 30 seconds, and at a temperature of 50°C or above. The maximum length recommended is 12 metres for 15mm pipe. Therefore care needs to be taken when planning the location of the hot water source and manifolds. When the distances involved are greater, consider installing a ring circuit as a secondary circulating system, with a bronze circulating pump. This should be at least 28mm. Pass this through manifolds, with multiple tee-offs . Locate the manifolds within 12 metres of the outlets it will supply.